Discussion in 'Software' started by Lazy_writer, Oct 3, 2013. What part and what step in the tute are you in? 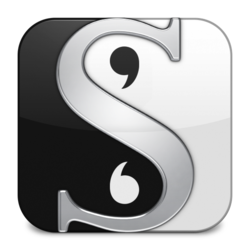 Are you in Step 18: Text Editing, where is shows how to use Scrivener Links? To close that pdf pane, just click in the far-right full pane button in the OTHER pane, the one with the tutorial text in it. The pane with the pdf in it is just there to show you the pdf - it's not really there in your document. The only thing in the document is the link to it. So when you click the link for spacewalk_info, it opens the new pane with the pdf in it. That pdf is not really there, as I said - only the link to it is. Try inserting a link yourself in the tutorial text. Just put the text cursor anywhere, go to the Edit menu (as it says to do) and select something from the Scrivener Links menu. A link will be inserted where the cursor is. Click the link and you'll see what it links to in a new pane. Thanks Minstrel thats exactly the problem I had.